I grew up on Grove Street in old Monsey, our family the only Modern Orthodox baalei teshuvah — perennial outsiders in a predominantly yeshivish neighborhood. We were raised to be open, accepting, and respectful of all. My parents chose their Jewish destiny; we were always made very aware of our responsibility to think for ourselves and “do our own thing” in avodas Hashem. Our background allowed us the opportunity to explore the Torah’s many different pathways. After a year in Eretz Yisrael, when I was trying to learn Torah seriously for the first time as a student at Yeshiva University, the challenge of “finding my place” in avodas Hashem was real. I was drawn to chassidus, engaged intellectually with Modern Orthodoxy, enamored of “the yeshivah world,” and ideologically at home in religious Zionism. There was so much beauty and opportunity in the diversity of Jewish communities. Yet so much seemed scripted, and the search for self, more like deciding which box to fit into, which set of cultural norms to adapt. As aspiring bnei Torah, did we really have to choose one way to the exclusion of all others? While perusing old copies of the Jewish Observer between classes on the fifth floor of the YU library, I got my answer. I finally met the tzaddik who would become a formative influence and inspirational force in my life: Reb Shraga Feivel Mendlowitz ztz”l. A tribute marking Reb Shraga Feivel’s 35th yahrtzeit penned by Rav Yitzchak Chinn, a close talmid, took my breath away. The piece described an episode that took place in 1943, just a couple of blocks from where I’d eventually grow up in Monsey. Reb Shraga Feivel was sitting outdoors with a group of yungeleit, and asked one to turn over a large stone embedded in the ground. As he did, swarms of insects scurried about in every direction. Said Reb Shraga Feivel: “Do you see those creatures? For their entire existence under that rock, they believed the world to be a dark, dreary place. By overturning that stone, you have revealed a whole new world, filled with light and beauty. In exposing them to the sun and sky, you’ve introduced a new dimension of reality into their lives. In meeting Reb Shraga Feivel, I felt as though a stone had been lifted — and a new ray of light was shining in. Reb Shraga Feivel defied definition and categorization; not tethered to any specific one of the shivim panim laTorah, he embodied the infinite expansiveness of Yiddishkeit. Reb Shraga Feivel’s way of learning Torah revealed its awesome unity: plumbing the commentary of Rav Shimshon Raphael Hirsch to explain challenging passages in Tanya — and vice versa. Chassidus, mussar, nigleh and nistar — for Reb Shraga Feivel, it was all One. Even while quoting freely from the writings of Rav Avraham Yitzchak HaKohein Kook, Rav Shraga Feivel maintained a close friendship with and deepest respect for Reb Yoelish, the Satmar Rebbe. At Torah Vodaath and Beis Medrash Elyon, classic yeshivah learning was complemented with shiurim on Tanach and tefillah, the teachings of Reb Tzaddok HaKohein of Lublin with insights on the intricacies of biblical grammar. Rambam’s Shemonah Perakim and Rebbe Nachman’s Sippurei Maasios, Chovos Halevavos, Ramchal and the Tzemach Tzedek. Fusion implies bringing together of separate, individual parts to form a complete whole. Reb Shraga Feivel didn’t “fuse” discrete parts; he was drawing from a higher source. “The Tree of Life was in the center of the Garden” (Bereishis 2:9). Reb Shraga Feivel taught: No matter how disparate the various ideas and approaches in Torah that we learn may seem to be, they are all different approaches to the Eitz Chayim. As long as the Tree of Life is “b’soch haGan” — and Torah is at the center — it can be approached from all directions. Reb Shraga Feivel carried the dialectic within himself: charisma and humility, passionate activism and hisbonenus, intellect and emotion. A gadol who saw himself as a regular person, “Mr. Mendlowitz” shunned all honorifics and trappings of kavod. A public figure, constantly surrounded by talmidim, who relished privacy and quiet. An idealist with two feet firmly on the ground, Reb Shraga Feivel upheld unwavering fidelity to his Hungarian upbringing, while attuning his incredible sensitivity to the needs and realities of the postwar American Jewish community. Uncompromising in his dedication to truth — at a time when ideology mattered — Reb Shraga Feivel was unabashed in voicing staunch opposition to innovations he felt threatened tradition, but still managed to maintain respectful working relationships with those he vehemently disagreed with. “Hashem sefasai tiftach” — in asking the Ribbono shel Olam to open our mouths and sing His praise, we aim to emulate His infinite nature, to be big, expand our boundaries, open our borders. As Reb Shraga Feivel would say: “Der seichel iz elastish” — the mind is elastic. If we are intellectually honest, it can be stretched from one extreme to another. Hotziah mimasger nafshi. Reb Shraga Feivel’s natural expansiveness validated drawing from approaches in Yiddishkeit that seemed to conflict: “Some souls drink from Tanya. Others from the Ramchal. Still others from Rav Hirsch. I drink from all of them, though at any given time, I might drink from one in particular.” From Reb Shraga Feivel came “insider” confirmation that the search for truth and the fulfillment of ratzon Hashem is more about “a Torah perspective,” as opposed to “the Torah perspective.” “Taamu u’reu ki tov Hashem,” for a searching Jew, Reb Shraga Feivel catered a fresh, bountiful, and spiritually healthy smorgasbord of theological opportunity. Reb Shraga Feivel’s singular focus on “looking in” — on living a life of penimiyus, nurturing the inner worlds of others, and encouraging in-depth limud HaTorah — inoculated against superficiality. Every Jew can be an “insider.” With Torah at the center, we are all equally close. Reb Shraga Feivel suffered a heart attack when he heard that the Old City had fallen into Jordanian hands during Israel’s War for Independence. Doctors warned him against learning Baal Shem Tov al HaTorah — Reb Shraga Feivel’s excitement when learning the heiliger Baal Shem made his sensitive Jewish heart race dangerously. Again and again I have returned to Yonoson Rosenblum’s masterful biography of Reb Shraga Feivel; it is a book that changes my life at each new stage I reread it, each time feeling a deeper yearning for Reb Shraga Feivel’s guidance, his expansive heart filled with ahavas Hashem and ahavas Yisrael, nuance and complexity. Working in the Jewish community, I am privileged to see the absolute best of Klal Yisrael. But even when everyone has only the best of intentions, things can often get personal, and worthy mosdos of different stripes step on each other’s toes. Dedicated professionals and volunteers, even rebbeim and menahalim, passionate for their specific cause, can get territorial over donors, programs — even social services. It’s hard not to get caught up in all of it. Business is business, people are people. It wasn’t that Reb Shraga Feivel was so confident in his yeshivah that he was unafraid of competition; he simply saw that in the world of truth and penimiyus, there is no competition. Ovdei Hashem are all working for the same Boss, at different points in the Garden, facing the same Center. Reb Shraga Feivel would remind his talmidim — in and out of yeshivah — that regardless of our professional identity, we are all “sheluchei d’Rachmana,” messengers on a mission from G-d.
As Reb Shraga Feivel’s 70th yahrtzeit approaches on Gimmel Elul, I am thinking about the tzaddikim hatehorim described by Rav Kook — the purely righteous who do not complain about darkness, but instead increase light. Now more than ever, how desperately we crave Reb Shraga Feivel’s purity, righteousness, and encouragement, to lift the stone that covers our hearts, weighing us down and blocking out the light. I’d grown up literally around the corner from that tree under which Reb Shraga Feivel sat with his talmidim decades earlier, feeling like a perennial outsider. Maybe my not being born to a particular derech with set minhagim and clear mesorah was Hashem’s way of setting the stage for the unlikely kesher I feel with Reb Shraga Feivel. If in our search for meaning we are motivated l’Sheim Shamayim, then we are all insiders. When we aspire to live each moment with penimiyus, we will find our place in the Torah world, cleaving to the Eitz Hachayim, the Tree of Life at the center of our lives. Enough complaining about our generation and all that is lacking! “L’oro neilech” — the time for us has come in our search for dveikus to do the heavy lifting, for the ohr haShechinah, for Soul-Glow. Tzaddikim b’mitasam nikra’im chayim — Reb Shraga Feivel zy”a, chai v’kayam! Originally featured in Mishpacha, Issue 722. 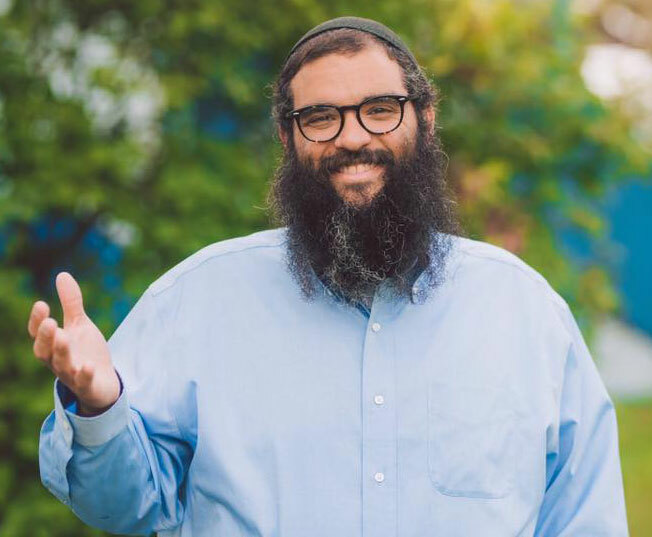 Rabbi Judah Mischel, executive director of Camp HASC and former rebbi at Yeshivas Reishis, is a popular teacher of chassidus and founder of Tzama Nafshi, an organization dedicated to fostering Jewish education and inspiration. He lives with his family in Ramat Beit Shemesh, where he is a talmid muvhak of mashpia Rav Avraham Tzvi Kluger and translator of his works.